Sunita Yadav in undated photo. BIRGUNJ, April 1: Wrapped in a red wedding sari, Sunita Yadav’s dead body which lay on the patio of her parents’ house on Sunday looked alive and peaceful to onlookers. “Dowry took the poor woman’s life. The doctor shouldn’t have done it,” they were heard murmuring as Sunita’s 70-year-old mother looked expressionless just beside the body. 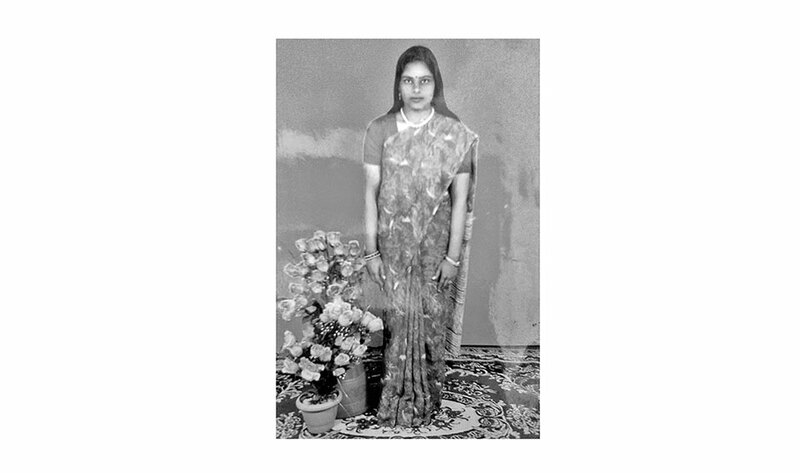 The mother Sanful Devi, a resident of Harpatganj, Birgunj, believes that special death rituals are important to ensure her daughter’s place in Heaven. Sunita, who was reportedly beaten and burnt with a hot iron by her doctor husband Sachitananda Yadav was taken to Kathmandu for treatment a few days ago. She breathed her last on March 29 while undergoing treatment at Tribhuvan University Teaching Hospital. Sunita’s brother Jay Prakash Yadav looks numb. He feels that he could not do enough for his sister. The demand for dowry kept growing that could not be fulfilled. “They killed her,” he laments. The marriage was decided 16 years ago. But Sachitananada and his family did not look eager to take Sunita home. “In our place, it is a matter of family dignity. If her marriage hadn’t taken place, we would be looked down upon in society,” the brother narrated. “We decided to give as much dowry as they wanted, and finally after two years they took her to their home,” he added. The marriage did not have anything good in store for Sunita. From the second day of the marriage, she was tormented at her husband’s house for not bringing enough dowry. “We understood that, but we were not in a position to fulfill his demands,” Jay Prakash said. According to Jay Prakash, even earlier her family had tried to kill Sunita by burning her alive on June 4, 2005. This case was registered at the District Administration Office, Parsa. But the case was settled later through a meeting held by some elders of the village. “Two years after his marriage with our sister, he married another girl from Bihar of India, which was also for dowry. My sister never got happiness at his home,” the bereaved brother laments. The family did not register any case of polygamy ‘in view of Sunita’s future’. Sachitananda did not stop torturing Sunita. He did not even allow Sunita to get her citizenship certificate through him, depriving her of the right for long. “Because she was already married, her citizenship could not be made from our father’s name. Finally, after 13 years of marriage, somehow her citizenship certificate was made,” reminisces the brother. According to him, the torture Sachitananda’s family gave to Sunita was unabated, but this time, the injuries took her life. “She must be in peace now,” he said with teary eyes. Dowry has ruined thousands of lives in the Tarai belt. According to social activists in Birgunj, even education has not been able to bring change. “Social dignity, dignity of family is taken so seriously that they don’t care for a person’s happiness and freedom,” said Dr Sushma Dwivedi Tiwari, assistant lecturer of Sociology at Thakur Ram Campus. “People are okay with a situation where women are beaten and thrashed everyday but divorce with the husband is not taken positively,” she added. For Sunita, her family spent over Rs 2 million to pay dowry to her in-laws. As extra dowry, Sachitananda, who is employed at Narayani Hospital, wanted a brand new Maruti car and some cash to start a new health clinic. “Had the money they spent on her wedding been used for Sunita’s education and empowerment, the story would have been different today. However, people in Madhes are yet to understand that empowerment of girls alone ensures their bright future,” Tiwari said. The tragic death of Sunita has stirred the entire country. A strong voice has been raised to book the husband and put him behind bars forever. While Sachitananda has already been arrested by the police, other members of the family are at large. Sunita and Sachinanda do not have any kid.